Helminths or intestinal worms are the biggest parasite problem in Cattle, in New Zealand. They contribute to millions of dollars of production losses every year. 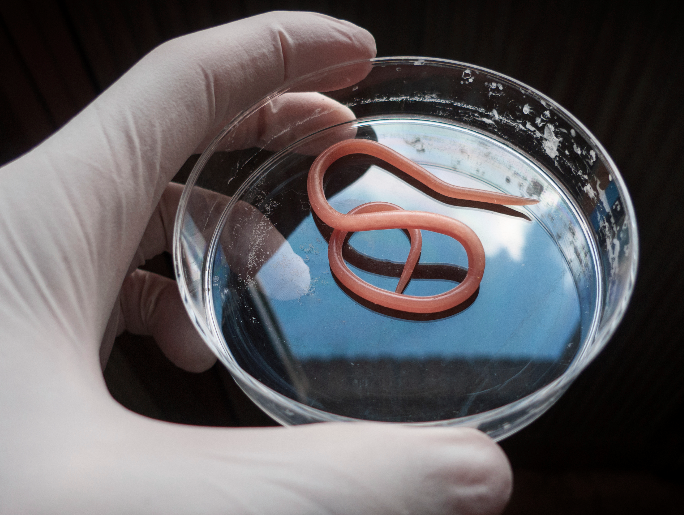 Helminths are broken down into three groups, roundworms (nematodes), tapeworms (cestodes) and flukes (trematodes). Here’s an overview of the main parasite types in New Zealand, and how to recognise if your animals are infested. Roundworms are the most economically devastating internal parasites of livestock in New Zealand. The medium or brown stomach worm, Ostertagia species and the Cooperia species, are the most common. Although cattle can be infected with tapeworms, their effect on animal performance is minimal compared to the roundworms. There are also problems with flukes in some parts of New Zealand. Parasites are more prevalent in conditions where snail populations thrive; poorly drained pastures, stagnant ponds and ditches. Snails are part of the fluke life cycle. Parasite levels are not the same in all pastures, or in all cattle. How you control internal parasites in your cattle should fit your farming situation. Strategic de-worming starts with understanding the life cycle of problem parasites, identifying seasonal changes in parasites and implementing cost effective control. The amount of parasite pressure in pasture varies with the seasons and how you manage your stock. The parasite burden starts in autumn, peaks during spring and is lowest during hot dry summer months. Parasite pressure can be reduced through parasite monitoring, good nutrition and a health programme. Endoparasites live in a cow’s fourth stomach, the abomasum, intestines, lungs and liver. In large numbers they can reduce appetite, skeleton growth, and the metabolism of protein and minerals. Lungworm can bring on coughing, especially in young animals. Adult worms lay their eggs inside the cow, the eggs are passed out in dung into the pasture, if the pasture is moist, larvae hatch and are eaten by grazing animals. An infected calf may develop diarrhoea or coughing and fail to fully develop. Gastrointestinal worms are difficult to control if they become resistant to drenches. Farmers can manage the rate of resistance development by using tailored solutions by following recommended monitoring and treatment programmes treating only when faecal egg counts rise. The effects of internal parasites on cattle varies with the severity of infection as well as the animal’s age and stress. In general, younger animals and animals under stress are most likely to show signs of parasitism. Mature cows acquire a degree of immunity to parasites that live in the lower gastrointestinal tract, however, the brown stomach worm can evade the animal’s immune system. Parasite burdens are most detrimental in mature cows near parturition because their immunity is suppressed. Cows, especially dairy cows in early lactation, are often in a negative energy balance due to the stress of lactation. These cattle are affected more than cows in later lactation, when smaller levels of milk are being produced. Bulls are more susceptible to internal parasites than cows. The effects of parasitism can be separated into two types, subclinical and clinical. Losses in animal productivity, milk production, weight gain, altered carcass composition, conception rate, etc., are all subclinical effects. Whereas visible, disease-like symptoms, roughness of coat, anaemia, oedema and diarrhea, are clinical effects. The subclinical effects are of major economic importance to farmers. Ticks and lice are external parasites of cattle. The tick 'Haemaphysalis Longicornis' can infest cattle, sheep, goats, dogs, horses, deer and other mammals, including humans and many species of bird. Adult ticks can kill cattle, sheep and deer through blood loss. Ticks can be controlled using showers, sprays and pour-on treatments. Anthelmintics can also be effective in controlling external parasites. Parasite infection is diagnosed by either a faecal egg count or postmortem exam after an animal has died. The postmortem is the most accurate method of determining parasitism, showing the types of worms present and the damage to the animal. Internal parasite infection levels can be estimated in live cattle by counting the eggs shed with the faeces. The eggs are quantified as eggs per gram (EPG) of faeces. An EPG is only an estimate of parasite populations in cattle and results from this test may be misleading. Variations in egg counts can arise from the ratio of immature to mature worm populations, worm species, degree of inhibition, consistency of the manure, etc. A herd should be sampled many times to determine worm prevalence.